As I walked down Euclid Avenue after seeing Motown the musical, I was confronted by a series of vertical digital screens staggered along the sidewalk with ever changing displays promoting current and future performances, selling the mere idea of going out (a quartet of white-haired ladies with martini glasses is captioned “It’s Never Too Late for a Girl’s Night”), and dizzying collage of Motown-related tweets with the hashtag #DancingInTheSeats, culled from the previous weekend (and no doubt updated through it’s run.) Even though my show tweets were limited to an instagram of my souvenir magnet (see image to the left) and murderous rage and the audience members behind me, I will confess I too was frequently inspired to boogie in the confines of red velour. I was also frequently inspired to wish I had worn a watch, or that there was enough light to check the program to see how much time I had until intermission/the end. I didn’t expect Berry Gordy Jr. to be much of a playwright, but I guess I hoped there would have been more editing. As long as the show was moving, singing, and dancing (Patricia Wilcox and Warren Adams provided fine and copious choreography) I was having a good time. But the production would literally stop whenever there were more than 3 consecutive lines of dialogue, which were invariably staged on a nearly empty stage with actors standing in a straight line. (Calling the stage “nearly empty” does a disservice to scenic designer David Korins whose set, though spare, was an inventive combination of vertical and horizontal beams appearing in countless configurations and often featured an attractive forced-perspective backdrop of suburban Detroit that had a seemingly magical–and indescribable–ability to transform as lighting changed.) The literal recounting of milestones in Motown’s first 25 years (a 1983 televised anniversary concert provides a slim framing device) lacked any sort of nuance, subtext, theme, or really any compelling conflict. It seems the great crisis was the growing realization that Motown cannot survive as an independent label amongst huge corporations, but there’s no sense that this issue has any resonance to people who don’t own record companies. Luckily the lackluster story telling is sold by a phenomenally capable cast. 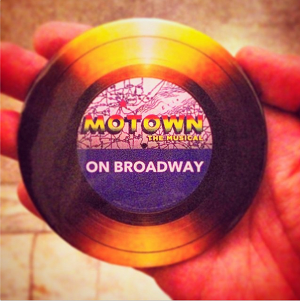 Every vocal (and Motown the musical boasts excerpts from 66 songs) was strong, passionate, and pitch perfect. The numerous celebrity vocals (notable Allison Semmes as Diana Ross, Nicholas Christopher and Smokey Robinson and Jarran Muse as Marvin Gaye) were effective homages that channeled the spirit of the original without hampering the clear innate talent of the performers. The introduction of The Jackson 5 midway thought Act 2 was a necessary jolt of energy and made me wish I was watching an entire musical about them. In fact, Berry Gordy Jr. might be the least interesting focal point for a musical about Motown (especially the one-sided version seen here). But Clifton Oliver plays it like the role of a lifetime, tirelessly guiding the audience through the vague narrative and landing big musical moments despite being saddled with some of Motown’s more forgettable ballads (since all the hits are typically given to their originators) that are unconvincingly set up by the libretto. It’s no small accomplishment that he was a clear stand-out vocalist in an evening surrounded by fine portrayals of Ross, Robinson, Gaye, Stevie Wonder, the Jackson Five, Gladys Knight, etc. And if Motown can be accused of being a somewhat vain monument to Gordy, its non-ending string of memorable tunes (and the uniform strength of their performance) makes a compelling argument that such a monument is deserved.